The biggest fraud in olive oil today is leading consumers to believe it’s all "fake." Some olive oil marketers are casting aspersions on all imported olive oil, leaving consumers bewildered and confused. Where do these claims of olive oil fraud come from? In 2010, UC Davis Olive Center published a report that was funded by California olive oil producers and companies, including California Olive Ranch and Corto Olive. The now-infamous report claims "69 percent of imported olive oil samples and 10 percent of California olive oil samples labeled as extra virgin olive oil failed to meet the IOC/USDA sensory standards for extra virgin olive oil." In layman's terms, the 69 percent number is based on taste testing - of a small sample set collected only from California stores. In no instance was a supermarket extra virgin olive oil - imported or domestic - found to be adulterated or "fake." It is false and misleading to call an extra virgin olive oil "fake" based on a sensory analysis. Class action attorneys have tried to reproduce the UC Davis results and failed, finding that “replicating the UC Davis tests proved impossible.” But the damage to olive oil's reputation continues. Consumers are confused and wary about one of the world's healthiest foods. Most articles about olive oil fraud describe "fake" olive oil as being diluted with poor quality oils or seed or nut oils. Some articles claim that bottles sold in supermarkets do not contain any olive oil at all and are instead full of artificial coloring and flavorings. The UC Davis results are not about purity, the allegations are related to quality. 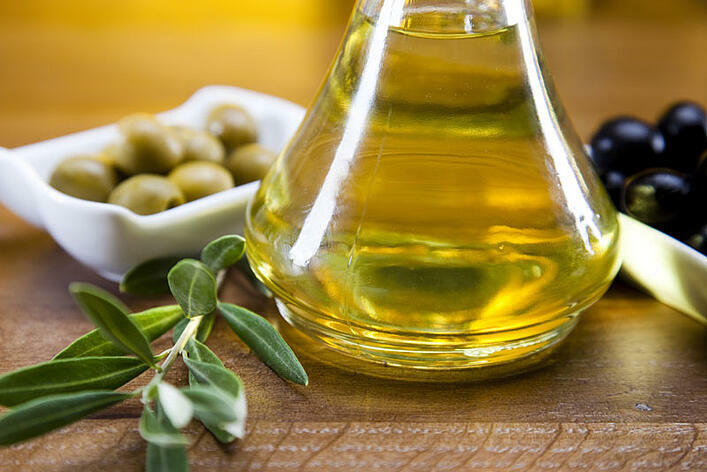 Olive oil purity can be tested with good accuracy and the test results do not change with the age or handling of the sample. Since the early 1990s, the NAOOA has been testing HUNDREDS of olive oils each year collected from supermarkets. The test results consistently show that more than 98 percent of the olive oils available in U.S. supermarkets are authentic and NOT adulterated with lower-grade olive oils or seed or vegetable oil. Quality is a measure of whether an olive oil is extra virgin, virgin, etc.. Quality of an oil can change over time and depending on storage conditions. Heat, light and air can degrade an oil which was extra virgin when it was bottled. Consumers with concerns about quality should look for olive oil that does not show signs of poor handling, has a recent harvest date and/or farther out best by date, and can perform a simple taste and aroma check at home. Speaking of freshness, the UC Davis report was released 6 years ago. New reports about olive oil fraud just continue to reference that same old report. Olive oil is a farmed product and the fruit changes from year to year. Like wine, a 2010 vintage might taste different from 2016 vintage. Any reports that recommend particular brands of olive oil are limited to the release of that year. When reading reviews of olive oil, keep harvest and best by dates in mind. The best way to test olive oil for both purity and quality is to use both sensory and chemical tests that are endorsed by the International Olive Council (IOC). The IOC, based in Spain, is the global authority on olive oil purity and quality. IOC recognized labs and panels perform full and independent assessments of olive oil samples to ensure the olive oils that you buy are 100% pure and also meet the tasting standards for their grade. Furthermore, testing must be wide scale as a single bottle might have become oxidized or handled poorly and may not be representative of the brand. Multiple samples should be tested from a wide variety of retailers. Despite the fact that the UC Davis report was not reproducible, internet food and health "experts" continue to cite it, even those expected to be credible sources - Extra Virginity author Tom Mueller, Consumer Reports, "Dr. Oz", and even The New York Times! In recent years' stories about olive oil "fraud," none of these sources conducted a single lab test or a full IOC taste panel screening on any olive oils. The next time you see an article about olive oil fraud, take a closer look. Did the authors conduct IOC lab testing for purity? If there was taste testing to distinguish extra virgin or virgin grade, did the authors use a full IOC taste panel and confirm the results with a second full panel? Or (more likely!) is there no citation or testing at all? If there was testing, are the results presented based only on a taste assessment, which has nothing to do with purity? Are you looking for an olive oil that has been tested for both quality AND purity by an IOC recognized panel and laboratory? Look for the North American Olive Oil Association Quality Seal - the ONLY program in the U.S. that includes full lab testing for purity. NAOOA seal brands can be found in just about every supermarket at a wide range of price points. Click here for a list of brands who have agreed to regular random off-the shelf testing. The NAOOA tests hundreds of samples of olive oil a year. We buy the oil from supermarkets, just like you do, and have it tested by IOC recognized labs. We know from more than 25 years of testing that the hype about "fake" olive oil is hugely exaggerated.